I made this montage using a second camera with a wide-angle lens controlled by a timer. You can see the sun traveling across the sky in different stages during the eclipse. 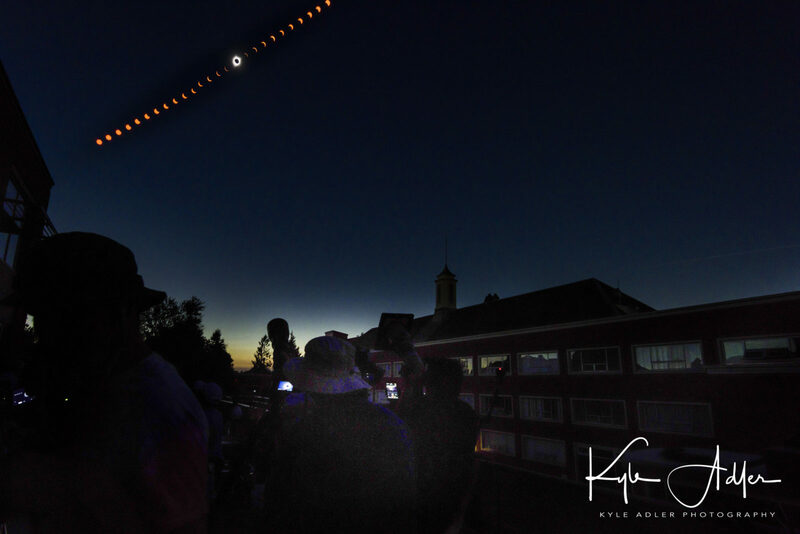 The foreground shot during totality shows yours truly wearing my signature floppy hat. Note the display on my other camera is showing a close-up shot of the sun's corona during totality.